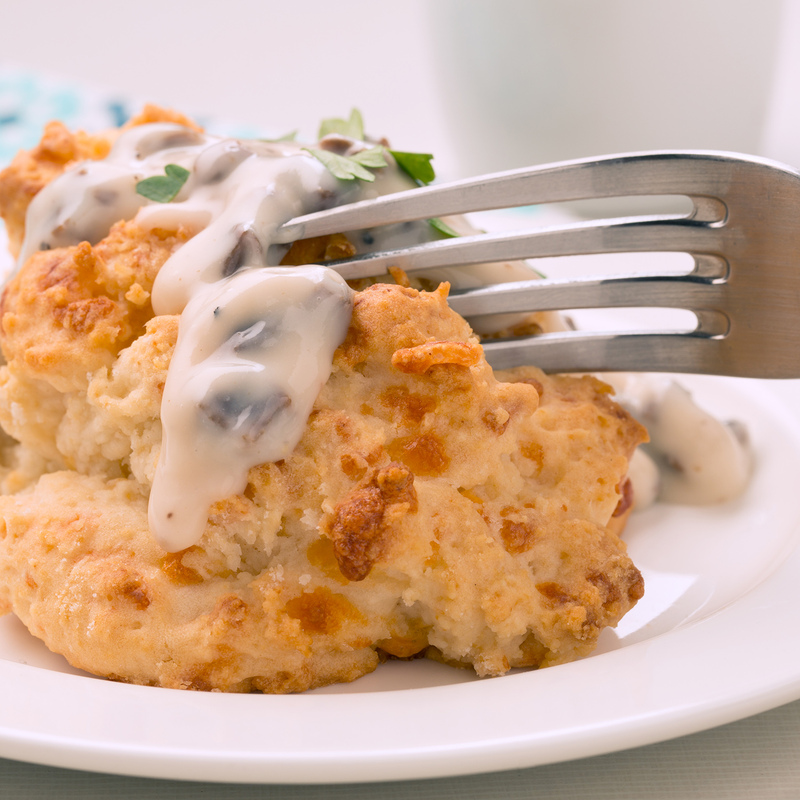 Classic Biscuits and gravy punched up to brings southern tradition to your table. The trick to this wonderful gravy is adding breakfast sausage, cook the sausage full, then crumble into small pieces. Prepare the gravy according to the Shawnee Mills packaging. whisk in after the water has come to a boil and add the cooked crumbled sausage into the gravy. and serve with biscuits.